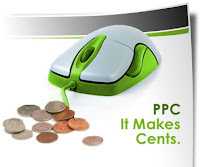 One of the popular ways to place advertisements is the pay-per-click model of Google Adwords. Advertisements can take the form of image, text, banner, rich media or video. If blogs and websites are a part of the Google Adsense program, they can hope to raise money with the help of advertisements through Google Adwords. An advertisement on Google Adsense can generate a steady income though the pay-per-click model. As entrepreneurs, you may be reaping the benefits of Google Adsense. 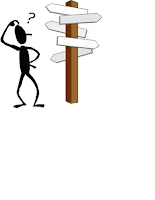 Nevertheless, do you know that there are many best Adsense alternatives available? One of the best Adsense alternatives, is without a doubt, pay-per-click method of advertising- One of the best ways in which a person can monetize a website or blog is through the pay-per click advertising model. All you need to need to do is to place ads which have a likelihood of getting clicked on. This requires skill and precision. If you are thinking that Google Adsense is the only way you can follow this model and generate income from it, you may be surprised. Many Adsense alternatives like Bidvertiser,Yahoo Publisher Network and Adbrite are available. Affiliate marketing is a growing avenue and one can earn quite a lot of money by promoting services and products of other businesses. There is no question over the fact that there is increased competition between various websites to lure visitors. You can made decent money if you have a blog or website built around a particular niche or particular product line. You can link advertisements of the related niche/services to your blog or website. You can lure visitors by writing comprehensive articles on the products you are targeting to get money from. If people are impressed by your articles, they will click on the website of your affiliate. If a purchase is made through this mode, you receive a commission. Amazon, Clickbank, CJ and Linkshare are some of the best alternatives to Google Adwords in this arena.